Here's a round-up of some of the most interesting events and news relating to travel in Italy in 2019. We'll keep covering travel news throughout the year to keep you up-to-date on the latest and help you make your Italy travel planning easier. 2019 marks 500 years since Leonardo da Vinci’s death; events and exhibits are planned throughout the year to celebrate the anniversary, mainly in the towns where Leonardo lived, including his birthplace Vinci, Florence and Milan (but also abroad). Palazzo Vecchio in Florence hosts “Leonardo e Firenze,” a selection of papers related to studies and work carried out by Leonardo during his Florence years; at Palazzo Reale in Milan the exhibit “Il meraviglioso mondo della natura” (The wonderful world of nature) will highlight Leonardo’s skill to portray nature. In Vinci, on April 15, Leonardo’s birthday, the exhibition “Leonardo a Vinci – Alle origini del genio” will open and explore the relation between Leonardo’s hometown and how the landscape where he grew up influenced his artistic production. There will also be conferences by some of the leading Leonardo scholars. *Unfortunately, there doesn’t seem to be a website that keeps track of all the events related to the anniversary; you need to make searches online. The southern Italian city of Matera is one of the two European Capitals of Culture for 2019 (the other is the Bulgarian town of Plovdiv). Matera is a Unesco World Heritage site because of its Sassi (‘rocks’), cave dwellings inhabited since the Neolithic period (which makes it one of the longest inhabited cities in the world). The opening ceremony took place on January 19, with marching bands from the region reviving the old musical traditions of southern Italy. The events planned for the year are divided in six main themes –“Remote future”, “Continuity and Divergences”, “Reflexions and Connections”, “Utopias and dystopias”, “Roots and paths”. Visitors can buy the ‘Matera Passport’ for €19, for access to all events held throughout the year. Here’s the official website of the event. Italy’s Culture Minister Alberto Bonisoli announced last year that “Sunday at the Museum,” the initiative that allowed free entrance to state museums on the first Sunday of every month, would be abolished and replaced with 20 free museum days per year. These would be set in part at the national level, and therefore be the same for all state sites; others would be designated by museum directors, who would have the freedom to choose when to offer them, for example according to seasonal fluctuations in visitor numbers. In addition, those aged 18-25 would pay only €2 to visit state museums at any time (approximately 480 state-owned museums and archeological sites, including the Uffizi and the Colosseum). Currently, it looks as if the Sunday at the Museum scheme is still in place as, at the time of writing, the MIBAC website (Ministry of Cultural Heritage and Tourism) is sponsoring ‘Domenica al Museo’ for February 3. The Biennale Arte 2019 – 58th International Art Exhibition will kick off in Venice on May 11. Titled “May You Live In Interesting Times,” the exhibition is curated by Ralph Rugoff, and as usual, will be hosted at the Giardini and the Arsenale, as well as around other venues in Venice. “The 58th International Art Exhibition will not have a theme per se, but will highlight a general approach to making art and a view of art’s social function as embracing both pleasure and critical thinking,” said Rugoff. “May You Live In Interesting Times will aim to welcome its public to an expansive experience of the deep involvement, absorption and creative learning that art makes possible. This will entail engaging visitors in a series of encounters that are essentially playful, taking into account that it is when we play that we are most fully ‘human’.” The Biennale closes on 24 November 2019. Check the Biennale website for program and updates. 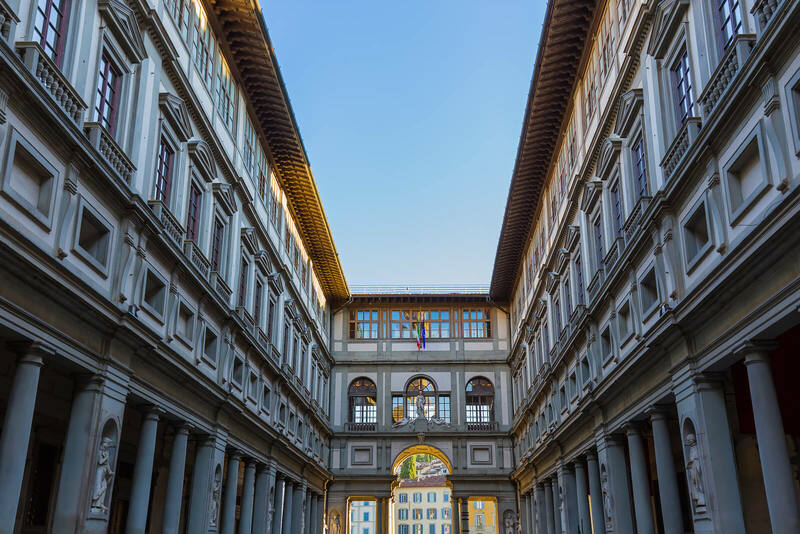 A new ticketing system was tested last fall at the Uffizi that would help eliminate or at least drastically reduce the infamous lines that form at Florence’s star art gallery. Using an algorithm, a coupon is printed from kiosk machines outside the museum indicating the exact time of entry. The new ticketing system is set to be implemented this year. The Santa Maria del Suffragio church, whose heavily damaged dome was a symbol of the wounds suffered by L’Aquila after the devastating earthquake that struck the Abruzzo town in 2009, has finally been restored and reopened to the public. Located on Piazza Duomo, it is one of the most interesting examples of late Baroque architecture in the region. As the so-called ‘zona rossa’ (red zone), the area damaged by the quake closed to the public, gets smaller and smaller, it may be worth to pay a visit to L’Aquila, which has many other interesting jewels, such as the Fontana delle 99 Cannelle, the Basilica di Santa Maria di Collemaggio, and the beautiful landscapes of Abruzzo. Michelangelo’s Pietà in St. Peter’s Basilica has a new led lighting system, which, by alternating four different arrangements, places the emphasis on different parts of the sculpture, highlighting one aspect or the other. One arrangement for example places the emphasis on the sculpture, reducing the illumination of rest of the chapel to a minimum; in another, a light shines from one side of the chapel, illuminating the right side of the statue, and leaving the left side darker for a dramatic effect. Tintoretto, the great Venetian painter whose 500th birth anniversary was celebrated in 2018, is also getting a new lighting system at his Scuola Grande di San Rocco masterpiece in Venice. The lighting system highlights the majestic architecture of the space, the precious ceiling and the magnificent frescoes and sculptures. Visitors will be able to fully appreciate his compositional technique, the colors, the figures, the details.